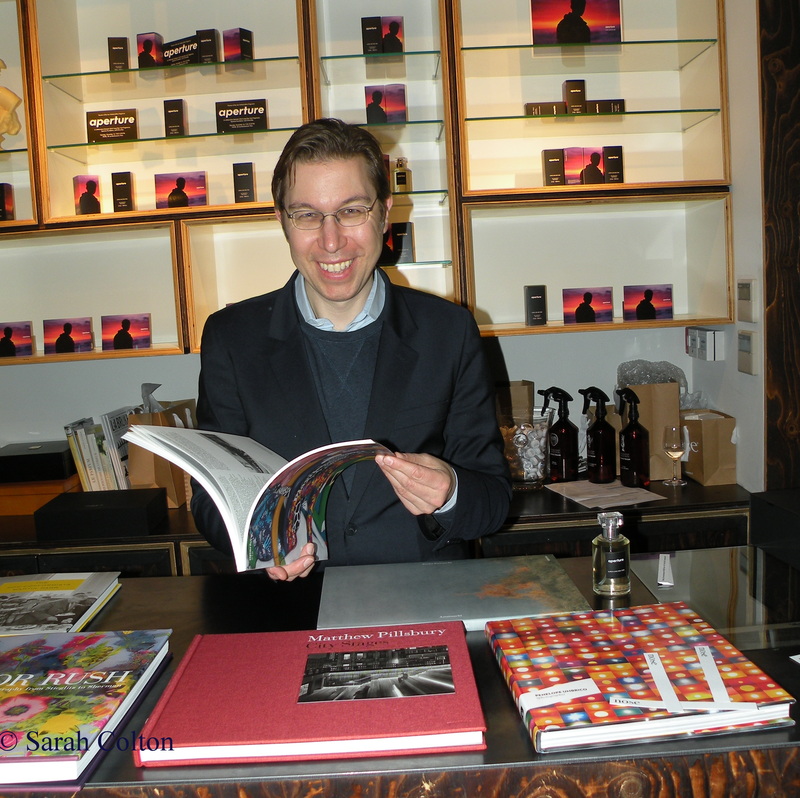 One of my most exciting Esxence moments was witnessing the triumphant re-birth of a fine old French perfume brand, Le Galion – Maison de Parfumerie, more than 30 years after its creation. Originally founded in 1930 by a certain Prince Murat, Le Galion was later sold to perfumer Paul Vacher, best known as the nose for Arpège, created in 1927 with Andre Fraysse. Following Paul Vacher’s premature death in 1975 the company changed hands and languished for years before its purchase eighteen months ago by Nicolas Chabot. 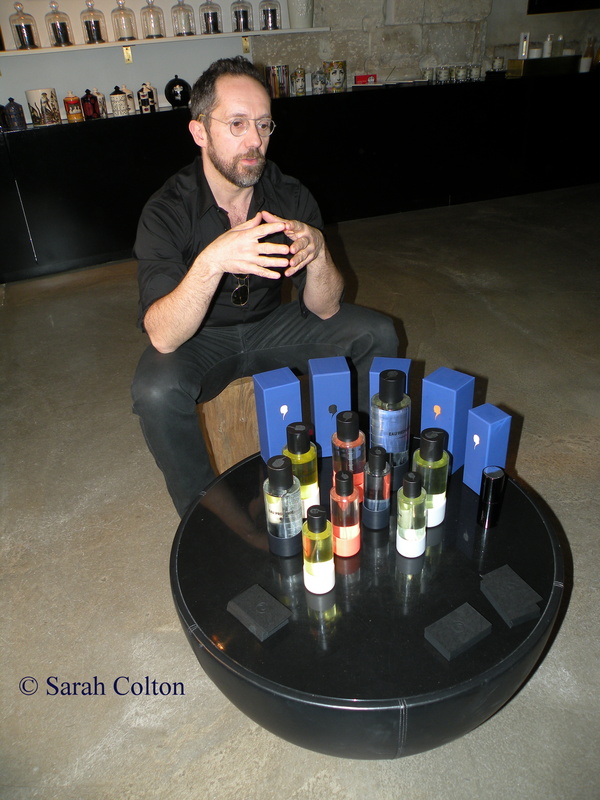 An industry professional of many lives, and clearly passionate about his new brand, Nicolas Chabot has begun working with several perfumers (notably Thomas Fontaine, the in-house perfumer at Jean Patou) to re-formulate some of Le Galion’s rare perfume treasures from its golden age. Eight of these treasures were presented to the public for the first time at Esxence. Set for a retail launch in September, Nicolas says he is not in a hurry about choosing where. A suivre….Closely! Naomi Goodsir’s fragrances make me think of small, extremely resilient, yet delicately plumed birds, somehow blown from Australia to land on French soil. ‘Or du Serail’, Naomi’s third fragrance, and the first to be created in collaboration with perfumer, Bertrand Duchaufour, sings in Naomi’s inimitable muted and textural tones of fine haberdashery, leather, tobacco, aromatics, and animalic elements. Neela Vermeire of Neela Vermeire Creations offers yet another perfumed voice to her warm and uplifting song of India. Though similar in name, ‘Mohur Extrait’ is, in fact, much more than a concentrated version of ‘Mohur Eau de Parfum’. Most striking to me, is its softly melodic iris, jasmine, rose, and violet heart flawlessly paired with its exquisitely modern rendition of a classic French flacon. 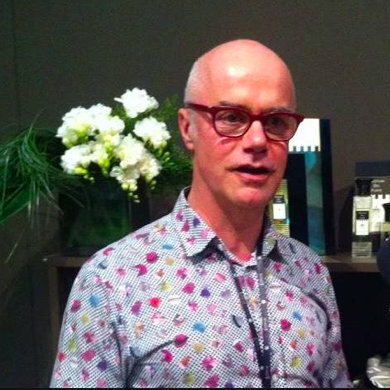 All Neela Vermeire’s fragrances are created in collaboration with Bertrand Duchaufour. Like Prudence Kilgour herself, the Prudence of Paris stand at Esxence was disarmingly lovely. The most important new fragrance from Prudence of Paris is ‘Nuits Blanches’, which will be officially launched in St. Petersburg later this year. Not surprisingly, ‘Nuits Blanches’’s heart is overflowing with seductive white flowers — Tubéreuse, Jasmin Sambac, Rose Centifolia, Orchidée, and Freesia. As an additional touch, Prudence’s best selling perfumes can now be purchased in a choice of flacons, delicately adorned with one of Prudence’s most cherished emblems, a golden bee. Carner Barcelona’s delightfully unusual fragrance, El Born, is named after a historic neighborhood of Sara’s hometown, Barcelona. The hint of a liquorish note mixed with citrus and florals gives it a sparkling and lovable quirkiness grounded in soft woods and musk. “What is the color of shadow in perfume?” Céline Verleure’s latest Olfactive Studio fragrance, ‘Ombre Indigo’ (Indigo Shadow) suggests an answer: smoky, warm, watery, and indigo. Inspired by Gustavo Pellizzon’s photograph of a man wading in a river and the shadow he casts on the water, ‘Ombre Indigo’ introduces color for the first time to Olfactive Studio’s remarkably focused collection. In ‘Prima Rugiada’, a Bertrand Duchaufour creation for Profumi Del Forte, I sensed another kind of shadow, dew-covered, and in soft contrast with a quickening morning light. ‘Aperture’, Ulrich Lang New York’s 5th fragrance, is inspired by an Olivia Bee photograph and deploys the cool of wood and the heat of spices to evoke the sharp contrast between an introspective human silhouette and the fire-y colors of sunset. 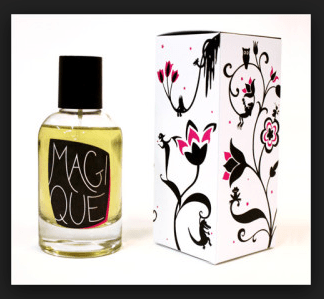 I couldn’t leave you without saying that two of my favorite Esxences discoveries this year were, in fact, colognes. New to markets outside the US, Thirdman (founded in New York in 2012) brings cologne to a new place. Or perhaps, back to a more lighthearted place in a time honored tradition. Watching Thirdman’s founder, the charming Jean-Christophe le Greves, liberally douse himself with “Eau Monument” took me back to carefree high school days of numerous Jean-Naté splashes and re-splashes. Don’t be fooled. Etat Libre d’Orange’s ‘Cologne’ is more than the ‘nice’ cologne it claims to be in the tag line, “We’ve given you decadent, we’ve given you outrageous, and now we give you nice”. For lurking behind its clear citrus and aromatic notes is Etienne de Swardt’s ironic and mischievous smile. Could the bad boy niche fragrance brand, Etat Libre d’Orange, really be coming clean? Who cares? It really is a lovely cologne and I look forward to applying it liberally on bright tropical mornings while planning mischief. Far from it. I already told you Esxence was like one huge 4 day cocktail party. Everybody had crazy schedules and I didn’t even get to visit some of my favorite French brands. Instead, we waved to each other across crowds, and agreed, perhaps rashly, that we could ‘catch up’ back in Paris: Patricia de Nicolai; François Hénin and his Jovoy fragrances, including ‘Rouge Assassin’, one of my favorite bad girl fragrances; and another new bad girl fragrance, ‘Junky’ from Anaïs Biguine’s brand, Jardin d’Ecrivains; David Frossard and Phillipe di Mio with their dark and introspective fragrances, Liquides Imaginaires; Chantale Roos’s ‘Dear Rose’ collection; Paris jeweller, Anne Gerard’s ‘Rose Cut’; and Pierre Aulas’s Ego Facto, among others. Will have to do the same catching up in Paris shops with favorite British, Italian, and American brands, as well. Somehow floating in all this, I’m not exactly sure where or when, I met a John F. Kennedy (sic) from New Orleans who gave me a little black bag of “MojoMagique” fragrance samples. Was I hallucinating by this time? Could be. In any event, in a single whiff I was transported to the land of bayous, magnolias, night-blooming jasmine, and the lilting tones of the American Deep South. Can’t tell you any more than this because, the little bag has subsequently disappeared. If it is indeed real, “MojoMagique” may only be available in the US, and perhaps, like Rebel Yell, only sold south of the Mason-Dixon line. A mystery to solve — soon. Sarah, you must have an ultra sensitive nose to be able to smell all those marvelous perfumes and colognes. They sound divine and so many. 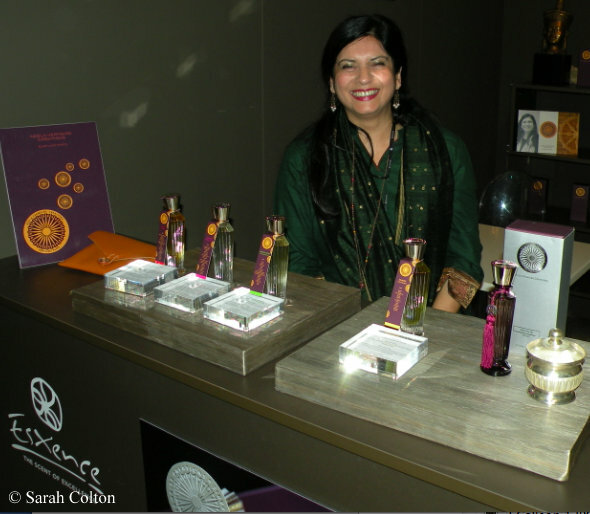 What fun you must have mingling amongst all the perfumers! Yes I did recognize some names from the past. Very interesting! I bet I know which you recognized, too. JN! 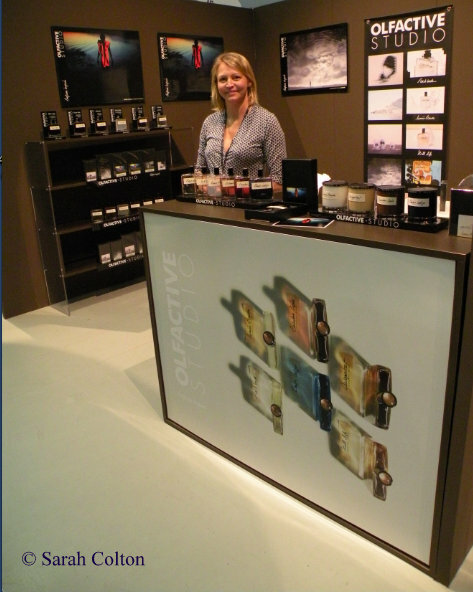 Cant wait to hear of more adventures in the world of scent!! Adventures, indeed! More on the way soon. hOur company provides herbal weight loss products. Take a look at our health contributing portal in case you want to feel healthier. Our company provides supreme quality healthcare products. Look at our health contributing site in case you want to strengthen your health. Our site offers a wide variety of non prescription drugs. Visit our health site in case you want to look better. Our company provides a wide variety of non prescription products. Take a look at our health portal in case you want to to improve your health with a help generic supplements. Our site offers a wide variety of non prescription drugs. Look at our health website in case you want to look healthier with a help general health products. Our company offers general health products. Visit our health contributing portal in case you want to feel healthier. Our company offers herb-based pharmacy. Take a look at our health contributing site in case you want to feel better. Our company provides health and related products. Take a look at our health contributing site in case you want to improve your health. Our company provides supreme quality non prescription products. Look at our health contributing portal in case you want to look better. Our site offers a wide variety of non prescription drugs. Visit our health portal in case you want to look better with a help health products. Our company offers a wide variety of non prescription drugs. Visit our health portal in case you want to look healthier.